Today the weather is back to its usual self...cloudy and grey. I created some early spring, completely unreal, whimsical flowers. 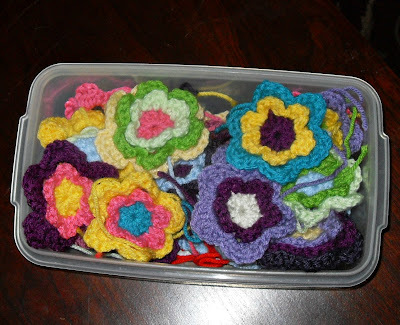 If you don't have Molly Makes you can find free crochet flower patterns all over the blogosphere. 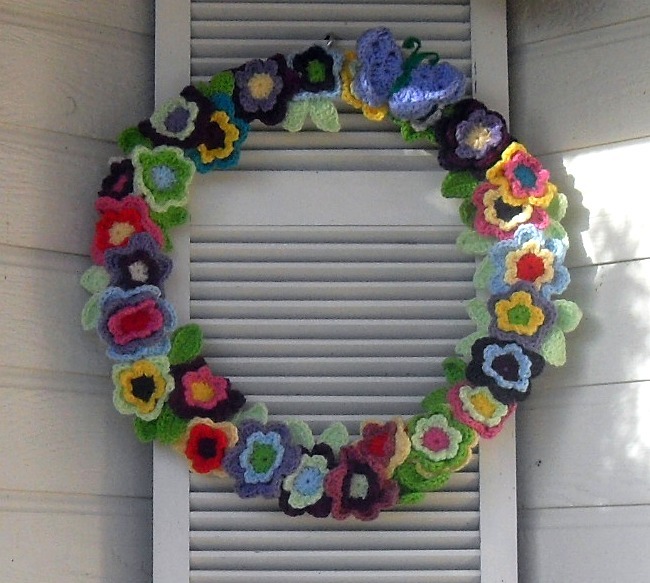 Crochet Central has an entire page full of free flower links. I love this, very fun! Wow, this is fantastic! So colorful and bright. 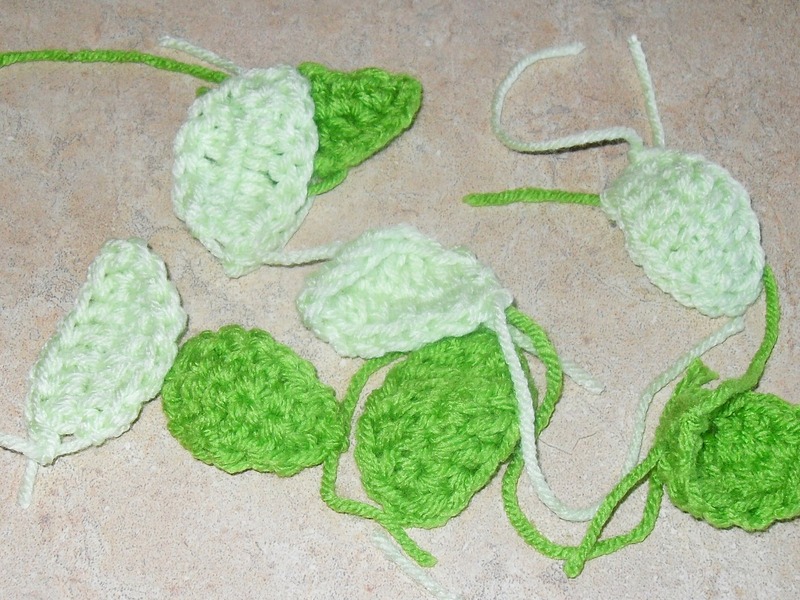 I'm an avid crocheter myself! So pretty. Love this idea. This is so bright and colorful!! Thanks for sharing at oopsey daisy!